Today at Constitution Beach there was sand raking. I was shocked to see how many people came to the beach because they heard about out event in the news or saw it in the newspaper. 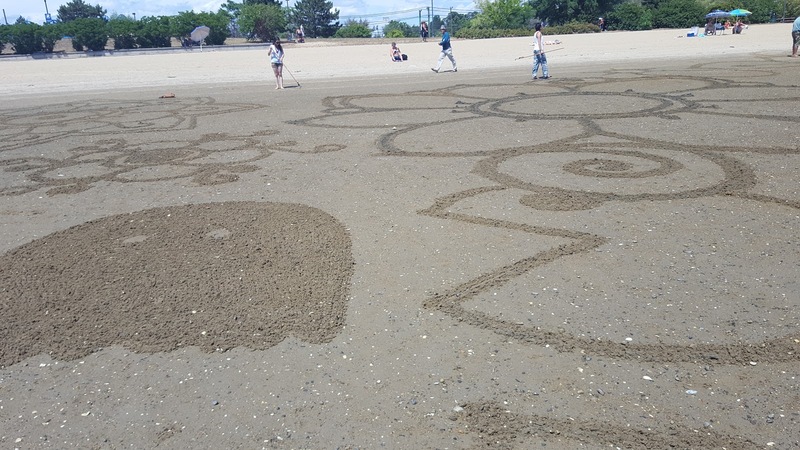 Luckily, the tide was low for a while, so the artwork could really be seen clearly While everyone was making flowers as their first designs, I wanted to be different and make a symbol. I made the yin yang symbol. In my opinion, it came out pretty good. I have never done anything like that. I usually just stick with making easy flowers, but I stepped out of my comfort zone today. Once I saw how well the yin yang came out, I decided to be more adventurous with my designs. I then made a lady bug and an anchor. I did not think that they came out that great, so I did not take a picture of them. I then decided to make a ghost. While I was in the middle of making the ghost, I looked over to Sam and asked her if she could make Pacman. She said, "Sure". While I was finishing the ghost, Sam was done with Pacman and it looks really good. 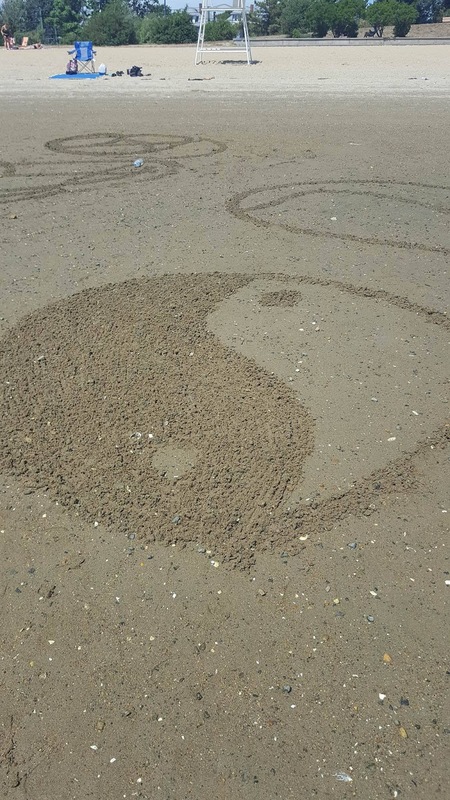 This was an awesome team effort to make something really creative on the beach. Even though when the tide came in, it would be all washed away, but it was still pretty cool.